Okay, this is a question for the collective. This is a project from several years back resurfacing. I want to build a volcano as a base/stronghold/terrain feature for two armies, my Fire Elemental army and my army of Mordor (for Mount Doom / Orodruin ). I've got a couple of spare computer fans to drive the thing. How do I hook up one or more 9V batteries to run the computer fans? The 9V batteries are DC. I read that computer fans are sometimes 5v and sometimes 12v -- how will that modify what I need to hook it up by batteries? Nothing special is required, it just means your 5v fan will run faster than intended... your 12v slower. You can put resistors inline to reduce the speed, might impact battery life. Diodes will reduce the voltage without the drain. Last edited by Rod on Sun Jan 29, 2017 1:16 pm, edited 1 time in total. I have an old Laptop I was about to throw away... I should check and see what condition the fan is in? Rod wrote: I have an old Laptop I was about to throw away... I should check and see what condition the fan is in? I think I have three fans already. Ah, perfect. Would one 9v battery be enough? Rod wrote: You can put resistors inline to reduce the speed, might impact battery life. Diodes will reduce the voltage without the drain. I don't care about all that stuff. The batteries are only going to be running for a few hours a year; if I have to replace them every year or two I won't care in the least. 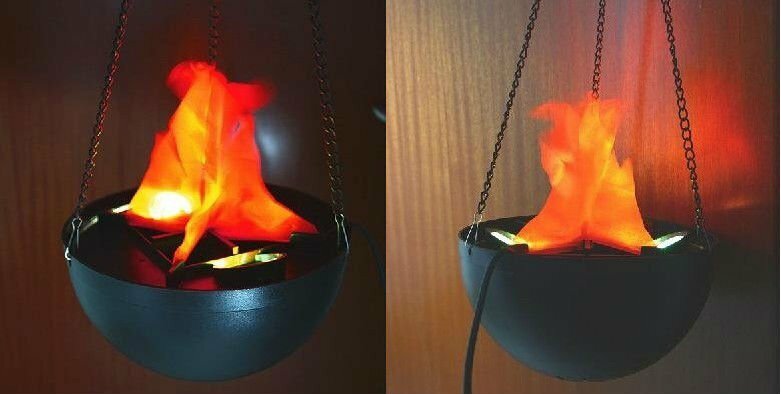 The only real requirement is having an awesome Mount Doom with flames. Although maybe I should have space inside for a pyrex beaker of dry ice, so it can have smoke as well. I am just not sure how long it would run? Depends on Current draw. Actually you should check out the smoke units used in model railroads? That might be interesting. Another option is the tea light smoke effects we use for Bolt Action to mark knocked out vehicles. The tea lights blink and give a pretty good impression of a burning vehicle with the appropriately painted stuffing. Those are pretty nice. I've got something similar set up in the belly of the golden pagan idol for my witch doctor's hut in my Darkest Africa army. Real smoke (dry ice) would be cooler, though, and would scale up better for the really big volcano needed (it has to dominate the battlefield). Rod wrote: Actually you should check out the smoke units used in model railroads? That might be interesting. I'm using "fire flicker" lighting systems (in the aforementioned Golden Pagan Idol) based on model railroads. I suspect that model railroads are going to be trickle-smoke for the volcano, rather than big smoke.